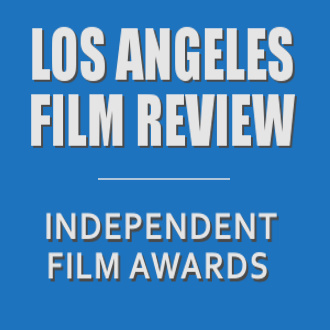 Welcome to the 2015 Los Angeles Film Review Independent Filmmaker Awards! We here at LAFR love film and filmmaking, and the vast majority of our editorial staff have either previously, or still do work in the entertainment industry. We realized that there are numerous award shows that recognize mainstream and large budget “independent” films, but there just aren’t that many opportunities for new filmmakers to get exposure. Technology continues to drop the barriers to entry for new filmmakers. Everywhere except in the media and the distribution dominated studio system. As our staff have noticed, the level of programming that can be found at smaller independent film festivals continues to get stronger and stronger. Shoddy old “indies” are now being replaced by slick, well crafted, well shot and well acted films. We felt that a lot of really great films were getting overlooked, or aren’t being heard about. Even if our contribution is currently modest, we hope that these awards will grow and gain real traction to help bring truly independent filmmakers the recognition they deserve. To that end, our goal is singular: To honor the spirit, creativity, ingenuity and drive that true independent film producers are showing the world over. Making a film with a multi-million dollar budget is incredibly difficult to do well. But, we’re realizing that some very unique and talented filmmakers are out in the world making amazing films with less money than most people spend on a used car. Unfortunately for us, we realized that they just aren’t getting seen. We’ve actually heard festival programmers complain time and again that “they don’t have enough slots for all the great films they receive”. The “Editor’s Choice” winner receives a $500 cash prize. We honor over 20 different creative filmmaking categories with a “Best Of” Award. Each category will have 5 nominees. All “Best Of” films receive a dedicated page on the site, with links to the production website and a trailer of the work. All “Best Of” films also receive a full review* by our editorial staff. All “Best Of”, “Nominated” and “Honorable Mentions” will also receive a custom Los Angeles Film Review laurel wreath which they may use for promotional purposes as well. And, because the film is not screening, your films’ “premiere” status will be preserved. We’re here to honor truly independent filmmakers and the films they make as best we can. We’d like to be the first to congratulate you if you’ve recently completed a film and we would be honored for the opportunity to screen it. But, please make no mistake, these are not “feel good” awards, where “everyone wins”. Film review is our living and we are very serious about the films that we will choose to honor. Most films will not qualify. *Full editorial review is limited to film awards such as “Best Feature Film”, “Best Documentary” or “Best Short Film” and does not include awards for individual crew or cast achievements such as “Best Writing” or “Best Costumes”.